if chosen to add a personalised flag, then personalise your flag with event or name, e.g helen's hen do!! 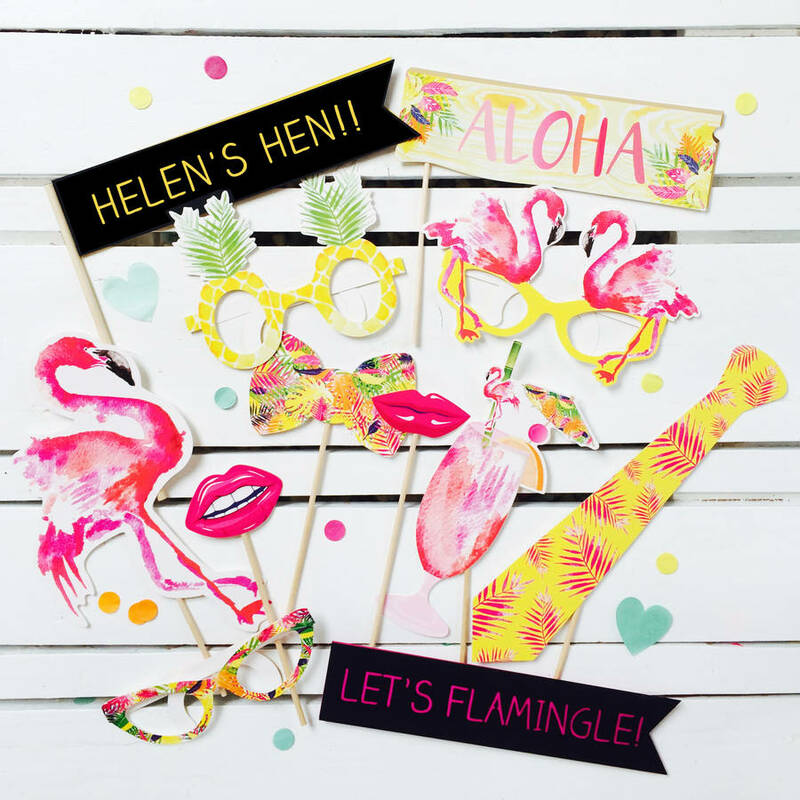 Strike a pose and celebrate the summer with these totally tropical photo booth props and personalised flag! 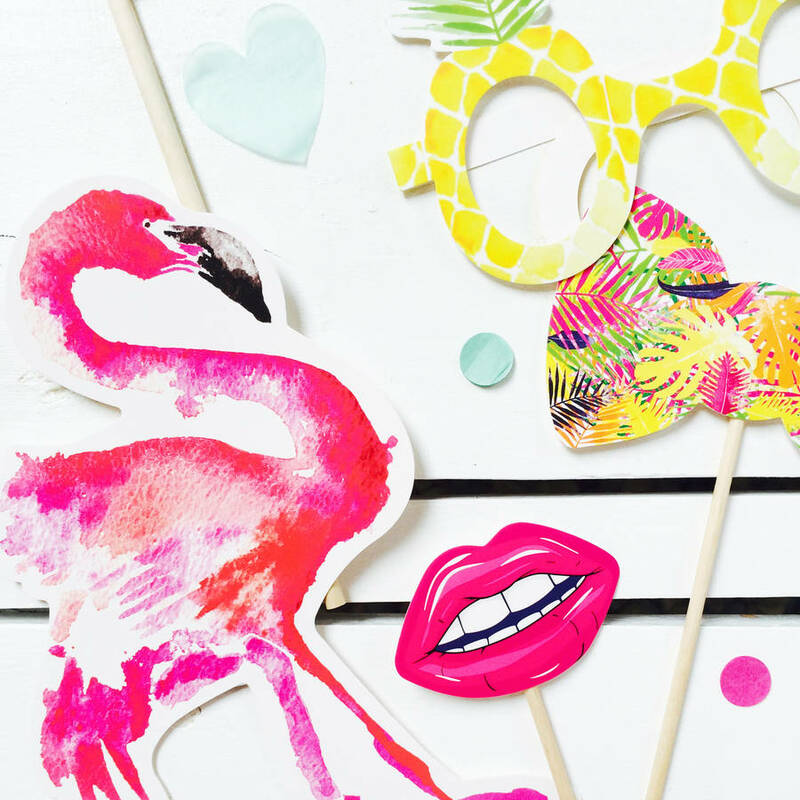 Have your friends and family reaching for their cameras with help from this set of bright and colourful photobooth props, perfect for summer parties, weddings, hen parties and other tropical celebrations! Each pack includes 10 colourful card props on wooden sticks, including flamingo glasses, pineapple glasses, colourful glasses, a snazzy tie, a cocktail, two sets of lips, a bow tie, an Aloha sign and a big flamingo. And whether you're celebrating a big birthday or have a specific message in mind make the occasion even more unique with a personalised flag!